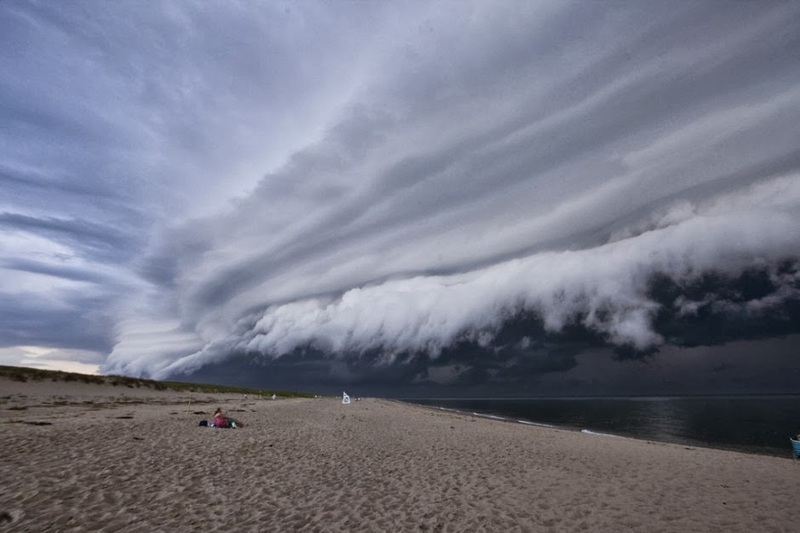 Clouds are formed in the Earth's atmosphere when water evaporates into vapor from oceans, lakes, ponds, and even streams and rivers; and by evaporation or transpiration over moist areas of Earth's land surface. The vapor rises up into colder areas of the atmosphere due to convective, orographic, or frontal lifting. 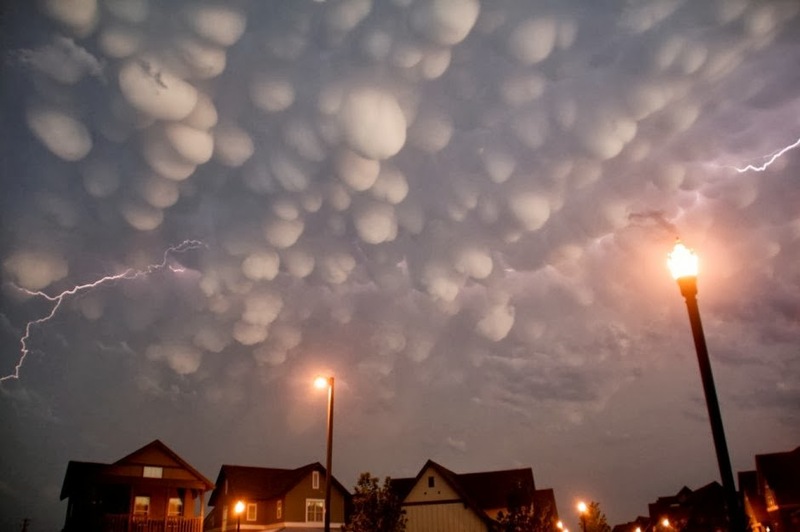 Mammatus, also known as mammatocumulus (meaning "mammary cloud" or "breast cloud"), is a meteorological term applied to a cellular pattern of pouches hanging underneath the base of a cloud. 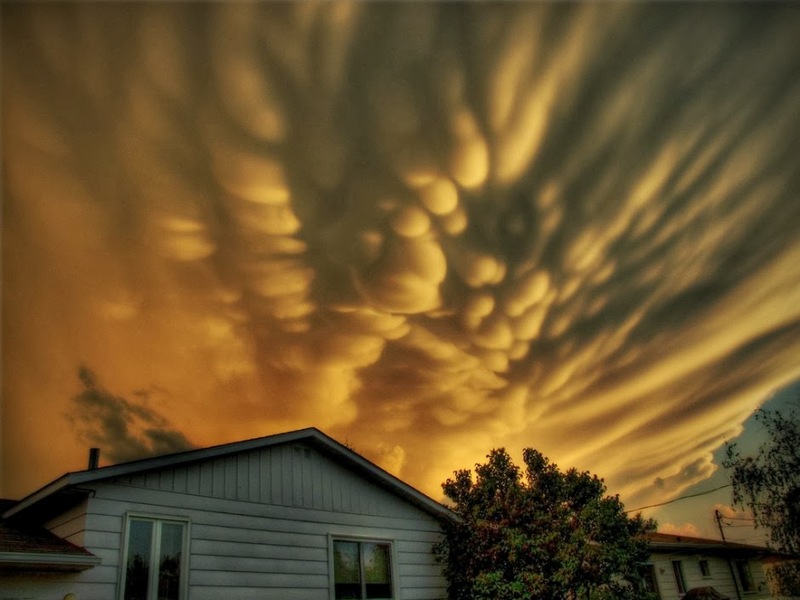 The name mammatus, derived from the Latin mamma (meaning "udder" or "breast"), refers to a resemblance between the characteristic shape of these clouds and the breast of a woman. 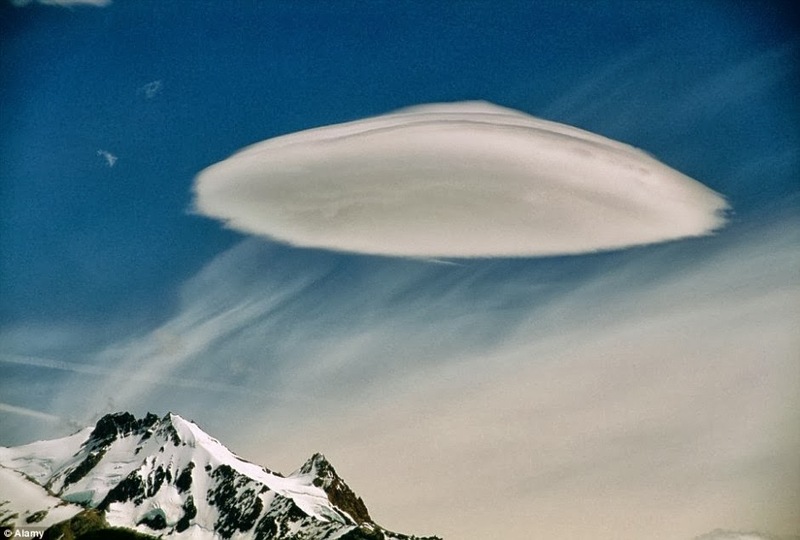 Lenticular clouds (Altocumulus lenticularis) are stationary lens-shaped clouds that form at high altitudes, normally aligned perpendicular to the wind direction. 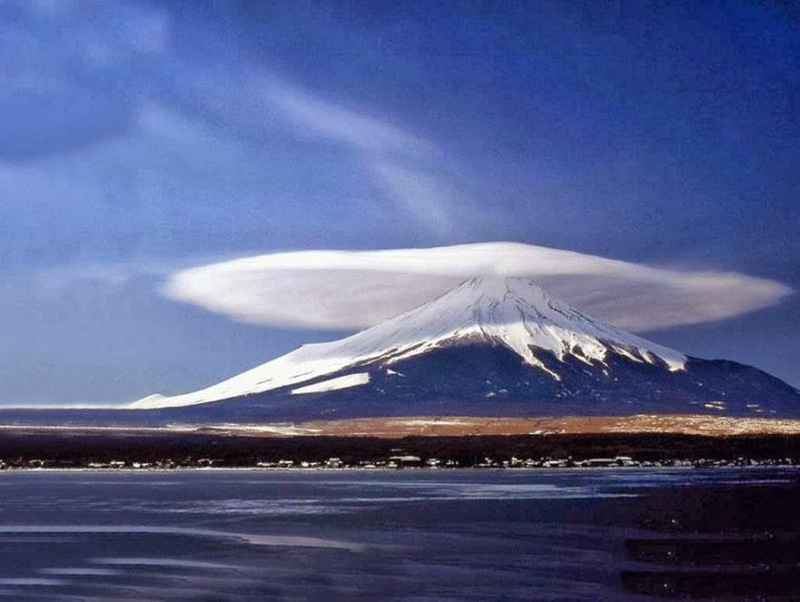 Lenticular clouds can be separated into altocumulus standing lenticularis (ACSL), stratocumulus standing lenticular (SCSL), and cirrocumulus standing lenticular (CCSL). Due to their shape, they have been offered as an explanation for some Unidentified Flying Object (UFO) sightings. 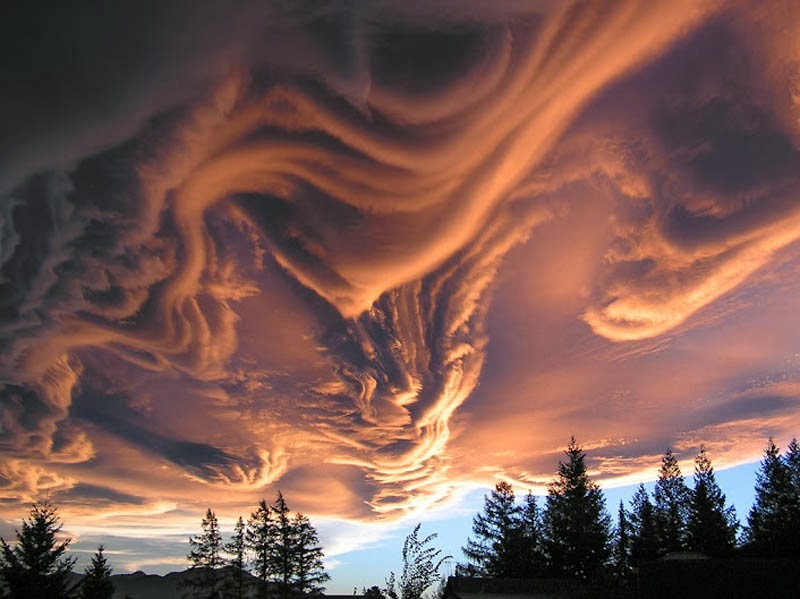 Undulatus asperatus (or alternately, asperatus) is a cloud formation, proposed in 2009 as a separate cloud classification by the founder of the Cloud Appreciation Society. 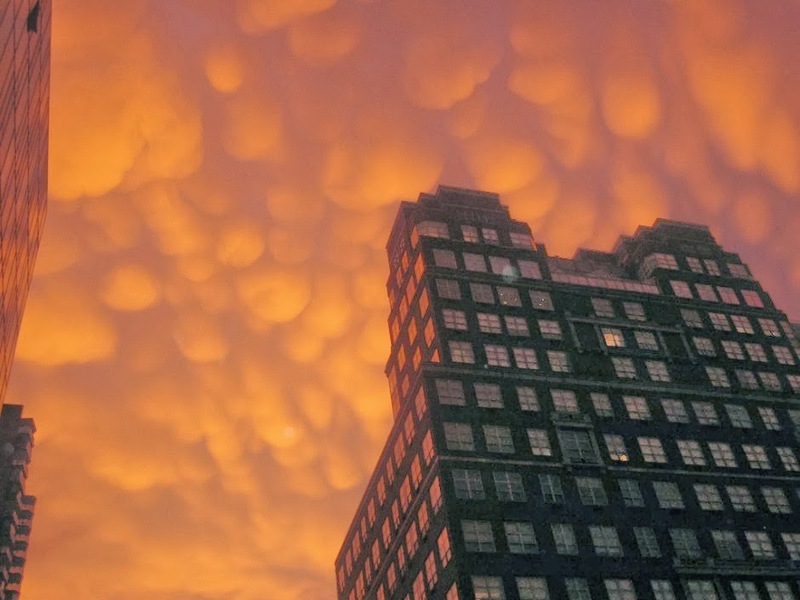 If successful it will be the first cloud formation added since cirrus intortus in 1951 to the International Cloud Atlas of the World Meteorological Organization. The name translates approximately as roughened or agitated waves. 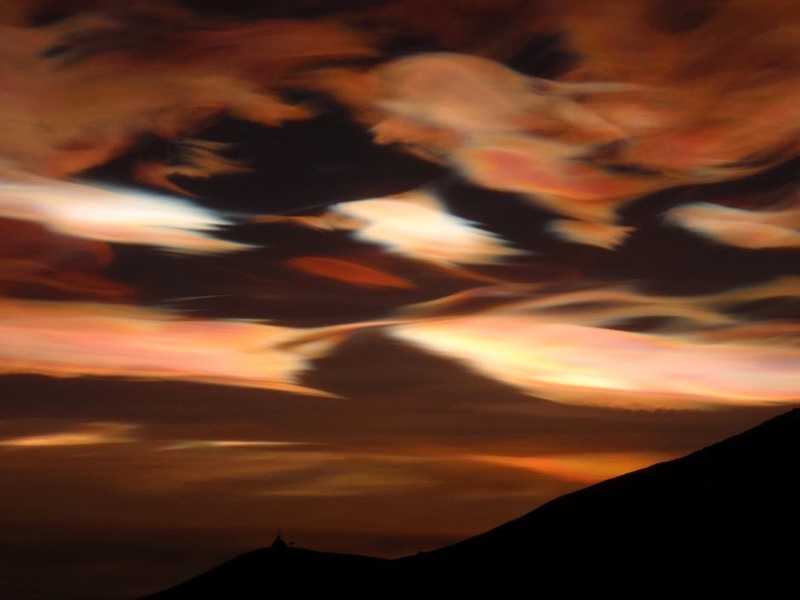 Polar stratospheric clouds or PSCs, also known as nacreous clouds, are clouds in the winter polar stratosphere at altitudes of 15,000–25,000 meters (49,000–82,000 ft). They are implicated in the formation of ozone holes; their effects on ozone depletion arise because they support chemical reactions that produce active chlorine which catalyzes ozone destruction, and also because they remove gaseous nitric acid, perturbing nitrogen and chlorine cycles in a way which increases ozone destruction. 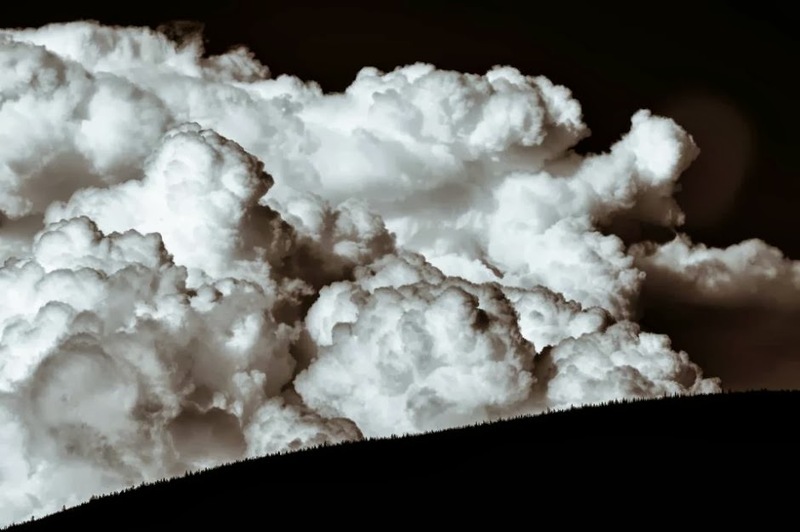 Cumulonimbus (Cb) is a towering vertical cloud (family D2) that is very tall, dense, and involved in thunderstorms and other inclement weather. Cumulonimbus originates from Latin: Cumulus “heap” and nimbus “cloud”. 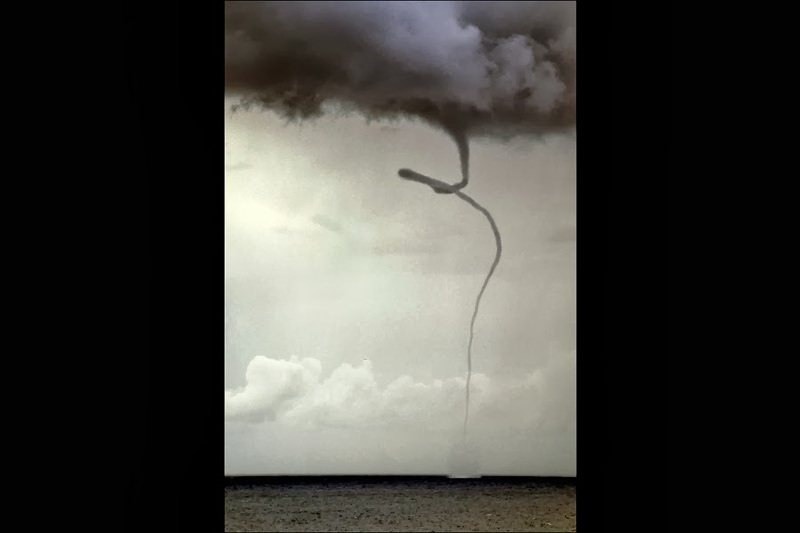 It is a result of atmospheric instability. 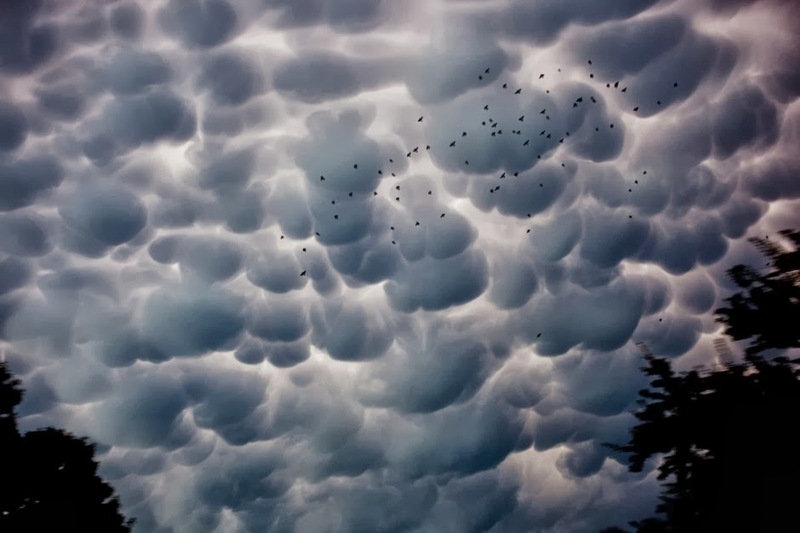 These clouds can form alone, in clusters, or along a cold front in a squall line. They can create lightning and other dangerous severe weather. 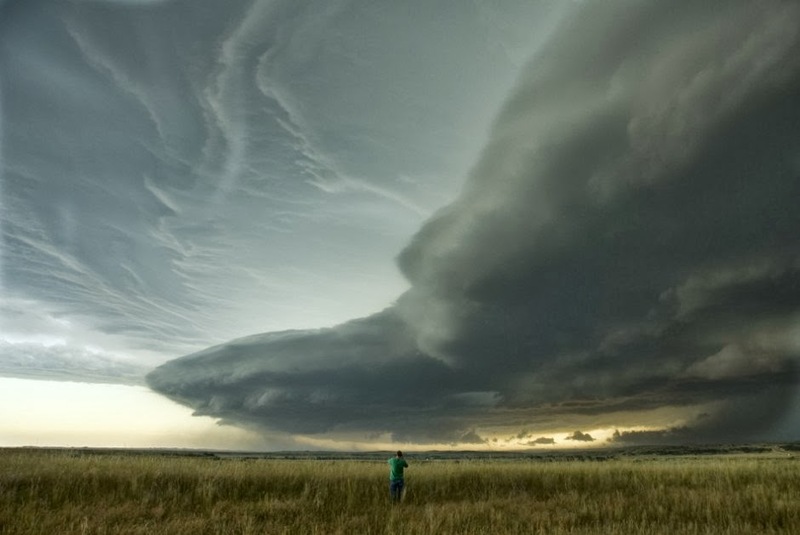 Cumulonimbus clouds form from cumulus clouds (namely from cumulus congestus) and can further develop into a supercell, a severe thunderstorm with special features. Altocumulus is a cloud belonging to a class characterized by globular masses or rolls in layers or patches, the individual elements being larger and darker than those of cirrocumulus and smaller than those of stratocumulus. Like other cumulus clouds, altocumulus signifies convection. It is usually white or grey, and often occurs in sheets or patches with wavy, rounded masses or rolls. 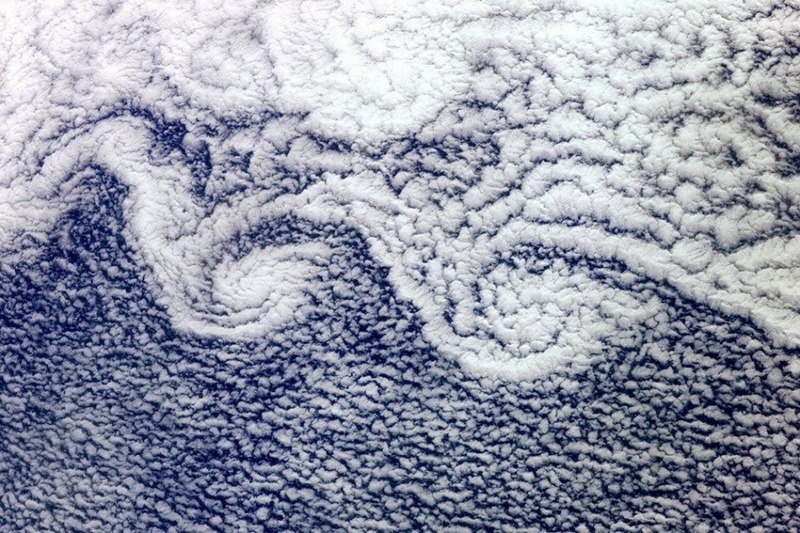 A sheet of partially conjoined altocumulus perlucidus is sometimes found preceding a weakening warm front, where the altostratus is starting to fragment, resulting in patches of altocumulus perlucidus between the areas of altostratus, or more rarely, an entire sky of the perlucidus variety. Night clouds or noctilucent clouds are tenuous cloud-like phenomena that are the “ragged-edge” of a much brighter and pervasive polar cloud layer called polar mesospheric clouds in the upper atmosphere, visible in a deep twilight. They are made of crystals of water ice. Noctilucent roughly means night shining in Latin. They are most commonly observed in the summer months at latitudes between 50° and 70° north and south of the equator. They can only be observed when the Sun is below the horizon. They are the highest clouds in the Earth’s atmosphere, located in the mesosphere at altitudes of around 76 to 85 kilometres (47 to 53 mi). They are normally too faint to be seen, and are visible only when illuminated by sunlight from below the horizon while the lower layers of the atmosphere are in the Earth’s shadow. Noctilucent clouds are not fully understood and are a recently-discovered meteorological phenomenon; there is no record of their observation before 1885. 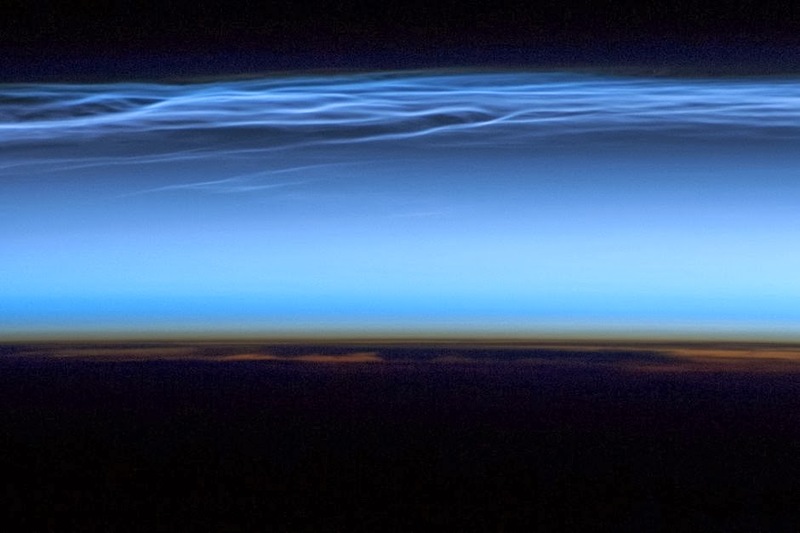 Noctilucent clouds can form only under very restrictive conditions; their occurrence can be used as a sensitive guide to changes in the upper atmosphere. They are a relatively recent classification. The occurrence of noctilucent clouds appears to be increasing in frequency, brightness and extent. It is theorized that this increase is connected to climate change. 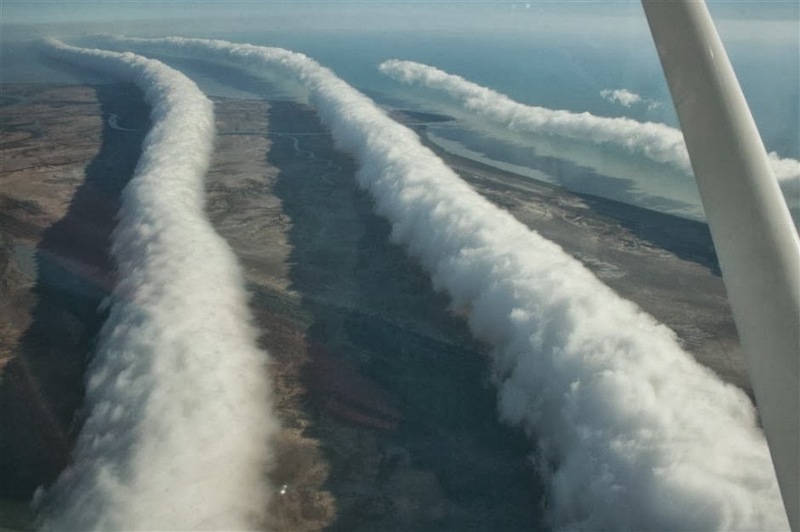 The Morning Glory cloud is a rare meteorological phenomenon occasionally observed in different locations around the world. The southern part of Northern Australia’s Gulf of Carpentaria is the only known location where it can be predicted and observed on a more or less regular basis. 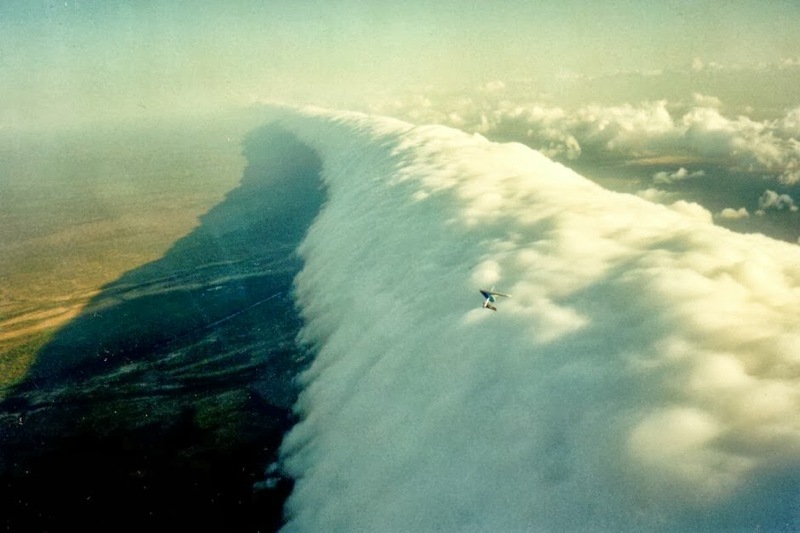 The settlement of Burketown attracts glider pilots intent on riding this phenomenon. 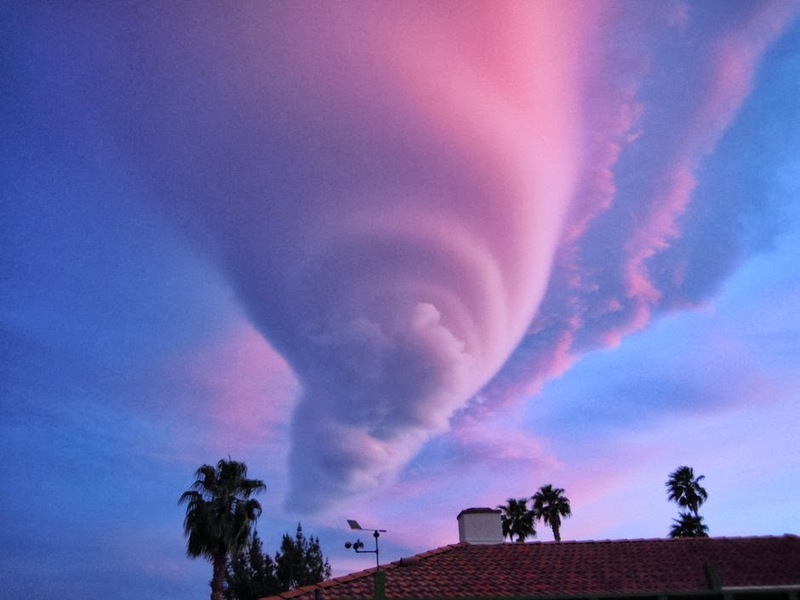 Lenticular clouds(Altocumulus lenticularis) are stationary lens-shaped clouds that form at high altitudes, normally aligned perpendicular to the wind direction. 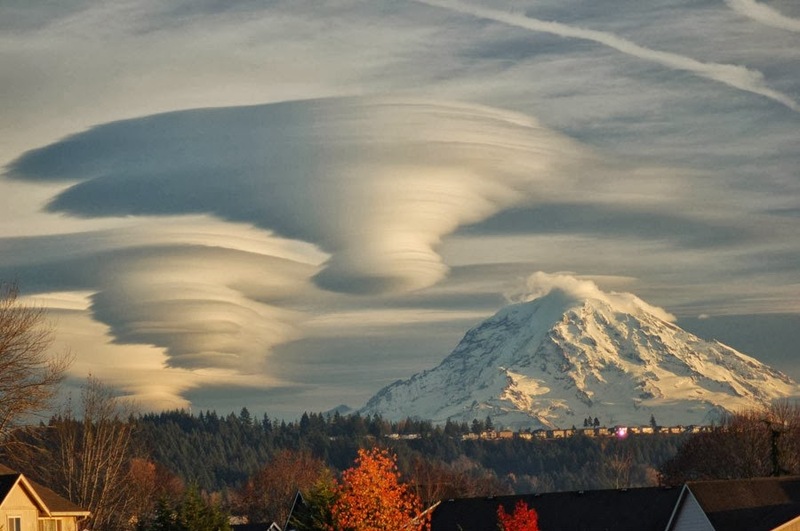 Lenticular clouds can be separated into altocumulus standing lenticularis (ACSL), stratocumulus standing lenticular (SCSL), and cirrocumulus standing lenticular (CCSL). Due to their shape, they have been offered as an explanation for some Unidentified Flying Object (UFO) sightings. 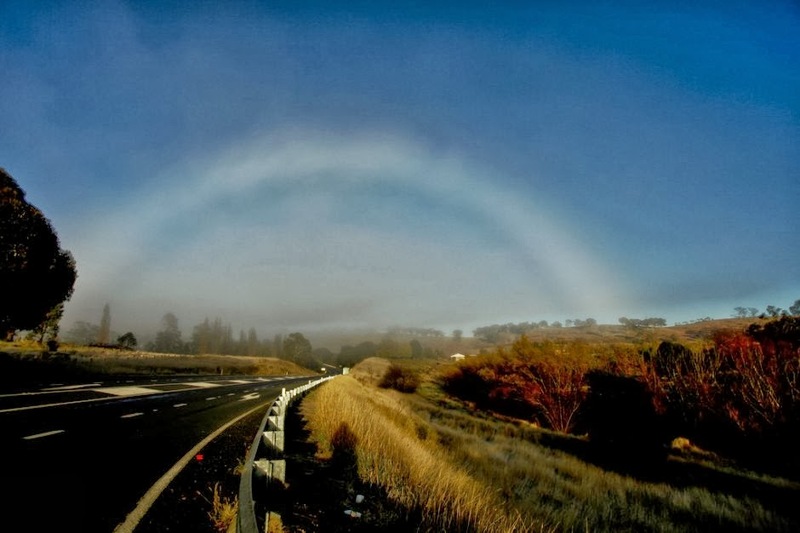 A fog bow is a similar phenomenon to a rainbow, however, as its name suggests, it appears as a bow in fog rather than rain. Because of the very small size of water droplets that cause fog—smaller than 0.05 millimeters (0.0020 in)—the fog bow has only very weak colors, with a red outer edge and bluish inner edge. In many cases when the droplets are very small, fog bows appear white, and are therefore sometimes called white rainbows. This lack of color is a feature of a fog bow which distinguishes it from a glory, which has multiple pale colored rings caused by diffraction. When the droplets forming it are almost all of the same size the fog bow can have multiple inner rings, or supernumeraries, that are more strongly colored than the main bow.